Which are the best platforms to advertise on? And what will it cost to get a new customer? If this sounds a lot like you - stick around. We’ve compiled 15 of the best paid advertising options, for your consideration. In addition, we’ve included a good estimate of the costs associated with each so you can pick an ad type that best suits your budget and your needs. If your goal is to be seen everywhere and by everyone, advertising via Google's Partner Network is a smart choice. With over two million websites and 650,000 apps, your ad is ensured wide visibility and a potentially large audience. Choose CPC if your target is to generate traffic. The average CPC is around $3 and you pay only when someone clicks on the ad. Choose CPM if your target is to increase reach – 1000 impressions cost ~$10. None of that matters if the traffic doesn't convert – when selecting CPA you pay when the goal was reached – such as a new subscription, purchase, etc. Launching your first Display Network Campaign through AdWords is quick. However, if you are unsure how to get started – check this video guide. Product listing ads are perfect for an ecommerce business because your products appear in a banner at the top of the search results. The difference between product and standard text ads is that product listings include a photo and the price of the item as part of the snippet. While the cost of this method can vary, your daily budget can be as little as $10 per day. Our experiments show that on average, the cost per click is around $1. Note: This ad option is limited to 22 countries. Check where it's available. Before launching a product listing ad, make sure you have carried out extensive market research to evaluate your industry's competitiveness. There are countless merchants selling blue t-shirts for example, but only a couple of dozen advertising e-book readers. Getting started is fairly straightforward; simply add your products to Google Merchant Center and link your AdWords account to it. Next, you simply have to create a new campaign for “Search Network only”. Try this video if you’d like to see the process being carried out before getting started. Where is the one place most people spend a lot of their time? Their inbox. With 1 billion gmail users globally, this advertising platform is one you should not miss. It is also the preferred communication channel for lots of companies. Based on Quality Score, the CPC varies between $0.10 to $1.15++. During your campaign lifetime, your domain's quality score will change depending on CTR, the number of emails marked as spam, etc. The higher the Quality Score the lower your CPC will be. Your customer acquisition campaign for gmail starts with AdWords. Log in to your account and follow these steps. After you complete all fields, save and continue to the ad group section. Now in the next window, select “Use a different targeting method”. Then search for gmail and add “mail.google.com” to the platform where the ad will be placed. If you need help with getting through the setup, this video guide is useful. Here is another platform boasting millions of users with billions of hours of videos streamed every day. This is a goldmine for creative minds. All you need to get started is a video hosted on YouTube. You have total freedom to make the video any length and type you desire. Find out more about this ad option here. Once again, everything is set up through your AdWords account - it just can’t get any simpler than that. According to YouTube, 200 video views would cost you only $10. And you pay only if those users interact with your ad or watch more than 30 seconds of it. Your first video campaign can be made here and for some ad inspiration - click here. Now, with a few different customer acquisition strategies under your belt, it's time to learn the importance of combining these ad options. Have you ever counted how many times you’ve seen a brand name before you actually paid attention to their products or services? Researchers have found that a minimum of 5-12 interactions are necessary before someone decides to make a purchase. So, it's a must to create more than one ad and use a number of different methods to build your marketing funnels. With a gmail ad, you can crawl deeper into their unconscious mind. Deploy a YouTube ad to help raise interest. Then use product listing ads to seal the deal. The best part? Even though the user will view your ad on multiple occasions, you will mostly pay only for clicks or conversions. To mix up your customer acquisition strategy, try experimenting with Bing. Fun fact: 59 million search users on Bing are not reached on Google. Bing searchers are a bit more mature and tend to spend 25% more time online than Google's crowd. If you need more convincing, consider that with Bing ads you could save roughly 50% with the same set-up as with Google, and in some cases the cost per acquisition will be three times lower. As for getting your campaign set up, Bing Ads introduced the option to import your AdWords campaign directly to Bing. This video guide shows you how to get it done. To get started, click here. 1 billion Yahoo users and 600 million monthly mobile users make this a tempting addition to your customer acquisition strategy. Nevertheless, the tough set-up is a huge downside. We found that this campaign type could have the lowest CPC and acquisition cost when compared to Google and Bing Ads. Our research shows an average customer acquisition cost of around $4, which sounds too good to be true, right? The downside comes when you start creating the campaign. It can be quite a roller-coaster. In theory, importing your new campaign from AdWords should be possible, but even with Yahoo’s how-to guide, we didn’t manage to do that in our experiments. If you’re ready to spend some time creating a campaign with Yahoo, you can get started here. With 1.8 billion active Facebook users, each of whom spends an average of 50 minutes daily on the app, this is your golden egg of customer acquisition strategies. At the end of the day, this also could be the only ad campaign you need to create. But before you jump in, take some time to get comfortable with Facebook's Business Manager. Start small - boost an engagement ad and see what happens. Share a piece of content on Facebook and promote it to the relevant audience. If your business is in Australia, Canada, Ireland or New Zealand, you can try out advertising in Facebook groups, as you can put your content where it really adds value. Next, get your visitors’ email addresses - by using a pop-up you can offer a content upgrade. Then develop an email sequence that aims to sell or get a Skype call with your prospect. Emails can also be used to create a lookalike audience which usually converts with double digit conversion rate. After the sale - re-target and upsell. Our research indicates that the cost per click on Facebook starts at $2 per click and cost per acquisition from around $5-10. The LinkedIn community is for you if your audience is HR managers and job seekers, as you can target them directly. There are a few different customer acquisition choices which can get pricey. For instance, the minimum bid for a CPC ad could start anywhere from $2 and track upwards. Nevertheless, you can set your daily budget at a minimum of $10 to stay in control of these costs. With your target persona in mind, we think it’s a breeze to get started with Linkedin ads but if you need help, this video guide explains it all. To create your first ad - click here. Snapchat is amazing for those who want to share quick stories of what they’re up to. In fact, 2.5 billion snaps are sent each and every day. In terms of (affordable) acquisition strategies, Snap Inc. allows businesses to promote their brand by creating a Geofilter. It's a photo that appears on Snaps in a certain location, measured in ft.
Geofilters can be submitted at an average cost of $5 per 20 000 ft.
Now to the fun part – the filter creation. 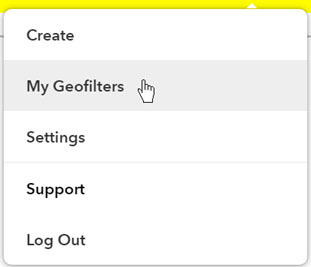 Snapchat has simplified this procedure and you can choose and modify different templates here. Or, create your own PNG following the guidelines here. Then choose the timeframe and area, submit your order and wait for the confirmation. When your campaign is launched, enjoy the filter, share with your followers and watch the stats on your profile under “My Geofilters”. If you have an Instagram business account, you could benefit from advertising there instead of Facebook. Instagrammers are known to be a bunch of visual folks and they love to engage with the content. In addition, these ads will cost you slightly less than on Facebook, starting at roughly $1 per activity. 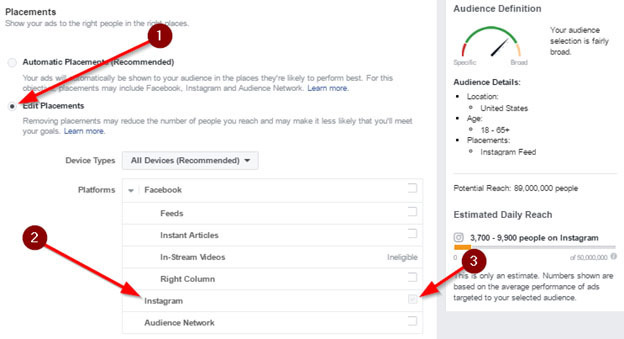 Instagram ads are created through Facebook’s ad manager. Full instructions can be found here. The most important points to remember are to edit the placements (1) and deselect everything else but Instagram (3). Alternatively, you can pick your favorite post and click the “promote” button on Instagram. Promoted Pins can make it easier to reach over 150 million monthly Pinterest users, who occasionally also buy the stuff they pin. If you offer anything pretty, actionable, and helpful, this is the place to share it. Cost per click starts at around $2. Pins accumulate engagement over time and engagement can grow by up to 20% even after the campaign is over. So this is a great customer acquisition strategy with a long-term focus. In order to get started, we suggest starting with this video. If you planning to get serious with Pinterest, enabling Rich Pins is a must (here's a video guide). Amazon is much more than the shopping platform it used to be. Since Amazon started testing its product listing ads, this customer acquisition strategy is quickly becoming a worthwhile consideration. Customer acquisition costs can go as low as $1 per click. Amazon also offers premium advertising options that will put your ads not only on Amazon.com but on their other apps, sites, and devices too. Watch this video to have a better understanding of how this platform functions. People on communities like Reddit are watching each other’s backs and can be helpful when it comes to spreading good ideas. This platform can rocket your site's traffic if you promote interesting and value adding information or products, but will swallow your marketing budget if your only focus is to sell. Reddit works well if your focus is to grow your email list and get new signups. Here’s a video that explains how to set things up and gives some great pointers on what it takes to have a successful campaign on this platform. If you’re looking for inspiration, this Reddit guide is very useful when it comes to understanding how to make the most of your campaign. Last but not least, there is StumbleUpon. 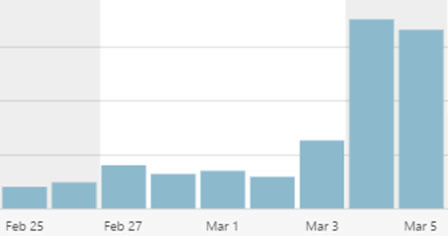 Recently, one of our own Linkody articles was added to StumbleUpon by someone popular on this platform. The result? Traffic increased almost threefold. StumbleUpon is on our list of customer acquisition strategies and we suggest you consider it as well. Stefan Maescher gives great insights with his content's success story. His cost per click was less than 1 cent. Ready to give it a go? Promoting a post on this platform takes 3 clicks and it all starts here. All you need is a sweet piece of content. Are you ready to diversify your customer acquisition efforts? We wanted to show that putting all of your eggs in one basket is a no-go when it comes to successful customer acquisition. Nowadays, there are so many ad opportunities that the amount of choice alone can cause confusion. As I hope we have shown in this post, there's nothing to be afraid of. You test and if you fail, you learn. If you need a hand with setting up any of these ad types, let us know in the comments below. Share your wisdom with your advice and experiences about what works best in your different industries.